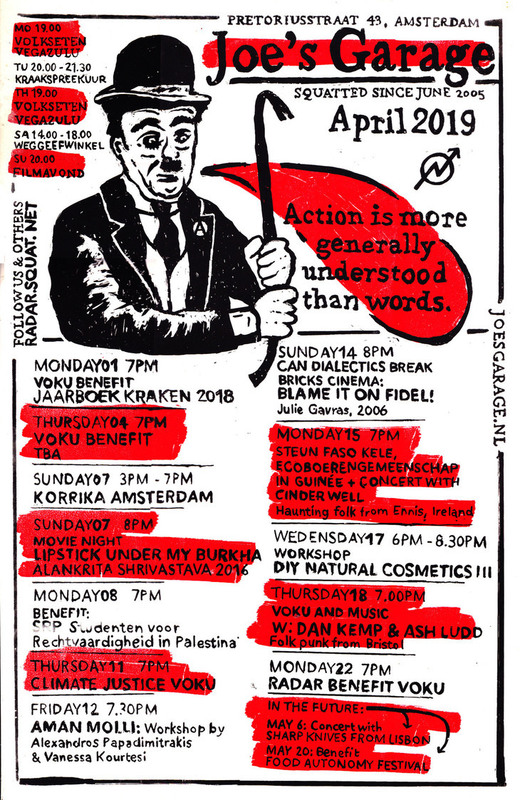 Thursday April 4th 2019, De Nieuwe Meent benefit voku, Volkseten Vegazulu, 7pm, no reservation. What better place than Joe’s Garage to start, where Soweto’s NieuwLand also originated? Come enjoy a delicious vegan meal The proceeds will go to cover the initial legal costs of the dNM cooperative. Thursday April 21st 2016, Nieuwland-Soweto benefit and info night, Volkseten Vegazulu, 7pm. Dear NieuwLand visitors, after three months of relative radio-silence, here’s what’s been going on. In spring 2015 many friends helped us with blood, sweat, tears and money to make the public space NieuwLand a reality. It has become a beautiful place and of course we couldn’t wait to start with using it! 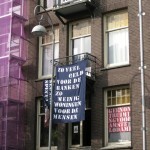 Many people were enthusiastic to make NieuwLand into a great social-political neighbourhood centre, accessible to people with or without a big wallet. A place that recognises and supports non-subsidised social/political initiatives, where issues can be shared and discussed. 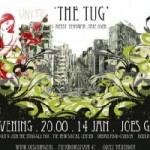 A place where you can enjoy getting together, for idealists, activists, neighbours, everybody. We enthusiastically started with the NieuwLand Athenaeum, the Kapstok Hangout, filmnights, information- and discussion nights, and of course the people’s kitchen: cooking vegan food together and sharing it as a way to foster solidarity for good causes. Your participation benefited several small initiatives for refugees, the Food Not Bombs projects in the Philippines, the LLECA Prisoners theatre in Nicaragua, JAAN in Indonesia, the PQBDS & Alqaws in Israel, Buro Jansen & Jansen, and more. While we were applying for the revelant permits to run the space, in December we received a letter from the municipality, forcing us to cancel our activities, under threat of a €10.000,- fine. We find the threat of a such a large fine an excessive measure against a volunteer collective and have filed a well argued formal protest. Since we always had been announcing our activities openly, we would have expected the authorities to approach us in case of problem, giving us the opportunity to explain about our goals and activities. The extensive threat of fine for any public activity made it impossible on the short term to come to an agreement to keep the space open while awaiting the permits. Not being discouraged and expecting to get the permits soon, we carried on with the permit application. Unfortunately, after the municipality extended the examination procedure, our request was refused! So while we are still in the procedural limbo of permits applications, fine objections, and such, the rent for the space still needs to be paid. 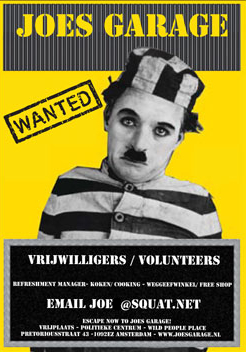 At the moment we, the NieuwLand volunteers, pay the rent ourselves. Also we will organise a few benefits nights at other locations: Last Saturday there was a benefit at MKZ. The next one will be Thursday 21st of April in Joe’s Garage! These nights we will also be present to explain more about the situation. See you! Monday March 10th, 7pm Vegan 3-course benefit dinner and info night on latest developments Pieter Nieuw landstraat-project. 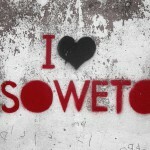 Soweto goes for Pieter Nieuwland – Update on SOWETO & the Pieter Nieuwland project. 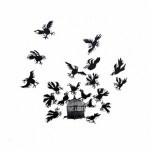 We are a collective that is enthusiastic about creating more community owned housing. 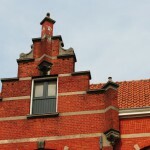 We are currently taking an old school building in Amsterdam Oost and turning it into a community living, working, and social space. We are seeing this as a starting point in bringing more buildings back in to the public domain – a counter movement toward the growing privatization of public spaces a reclaiming move against the increased corporate ownership of property. Monday April 8th 2013: Volkseten Vegazulu, Benefiet voku Soweto, 19:00 pm. Mo./Ma. March 4th 2013: Volkseten Vegazulu, Benefiet Voku Soweto, 19:00 pm.